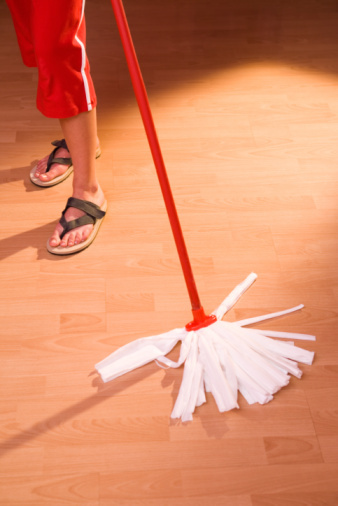 Keeping a clean home is important, but it's also important to know the ingredients that are in some of your favorite cleaning products. Palmolive is advertised as being "tough on grease, soft on hands," but just what ingredients make it that way? Understanding the active and inactive ingredients in Palmolive dish soap can help you decide if it is right for your household. The active ingredient in Palmolive dish soap is triclosan, which is an organic compound---meaning it is a chemical compound that contains carbon, not to be confused with a natural compound, which comes from a plant or animal source. Triclosan is used in many different kinds of liquid soap. It has anti-bacterial properties, and is very difficult to wash off. It degrades very slowly, so it's quite effective in killing germs because it stays on the dish or on your hands after rinsing and drying and continues to work. Ammonium laureth sulfate, a mild detergent and emulsifier, is used in many different household soaps and cleansers. Palmolive also contains lauryl polyglucose, which is derived from corn and helps the soap spread easily over a surface. Lauramidoproplyamine oxide is another surfactant present in Palmolive. Palmolive contains sodium chloride, which is better known as salt. Pentasodium pentetate is a chelating agent, which prevents dyes and perfumes from combining with metallic ingredients present in the soap. Magnesium and sodium bisulfite are two more inactive ingredients in Palmolive. Quaternium is a preservative. D&C Orange No. 4 is a dye. 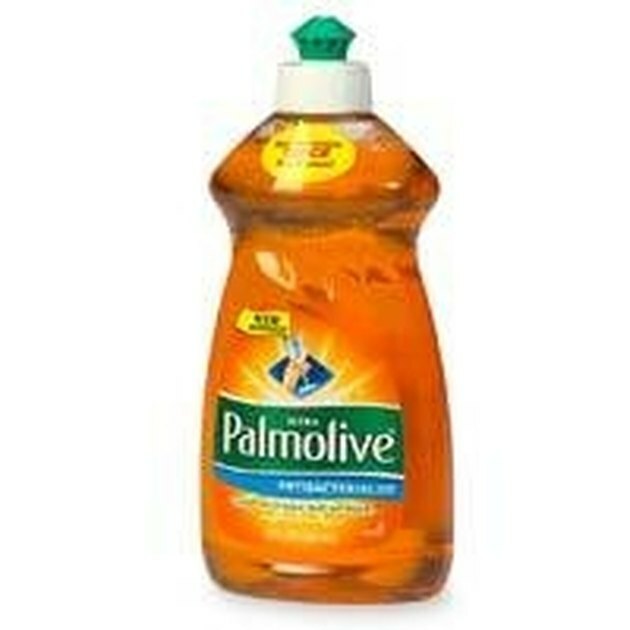 Palmolive contains SD Alcohol 3A, which is a grain alcohol and considered potentially toxic. According to "A Relational Database of Hazardous Chemicals and Occupational Diseases" (see References) there is some limited evidence that SD Alcohol 3A can cause cancer. Also found in Palmolive dish soap is sodium xylenol sulfonate, which is commonly found in types of household soaps and cleaners. This chemical is thought to be carcinogenic, as well as anionic and monionic and can cause irritation of the eyes or skin, diarrhea, vomiting, and even contact dermatitis. Triclosan is also thought to be carcinogenic, and may contain dioxins as runoff from the manufacturing process. It is thought that when triclosan is mixed with chlorine in tap water, it produces chloroform, which is a carcinogen. Triclosan, water, magnesium, sodium dodecylbenzene sulfonate, ammonium laureth sulfate, lauryl polyglucose, lauramidopropylanine oxide, SD Alcohol 3A, sodium xylene sulfonate, sodium chloride, fragrance, pentasodium pentetate, sodium bisulfite, quaternium 15, D&C Orange 4.